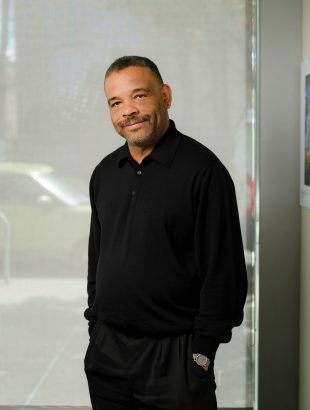 The Eastmont Town Center project involved the transformation of the declining shopping center, the Eastmont Mall into a thriving East Oakland Hub for community services. Engaged early in the process by the developer, MWA has designed several projects for Alameda County and City of Oakland agencies within the center including the Alameda County Self Sufficiency Center, Adult and Aging Services, Behavioral Health Care and Child Protective Services, the Nathan E. Miley Senior Housing Project, and the City of Oakland Police Department Eastmont Substation. This revitalized resource serves both retail shopping and provides a centralized location for government services and senior housing. The success of the adaptive reuse of this once failing mall demonstrates that with forward thinking, a thriving community resource can emerge and serve in a new capacity for another generation. 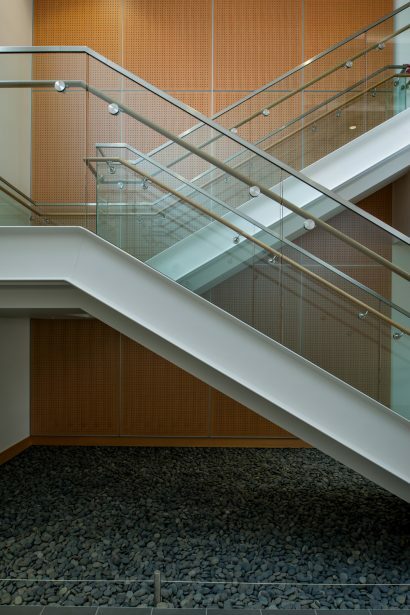 The tenets we applied to this project – and to all public projects – include achieving an uplifting environment; treating people with dignity and respect; quality on a budget; and clarity, simplicity and clear organization. 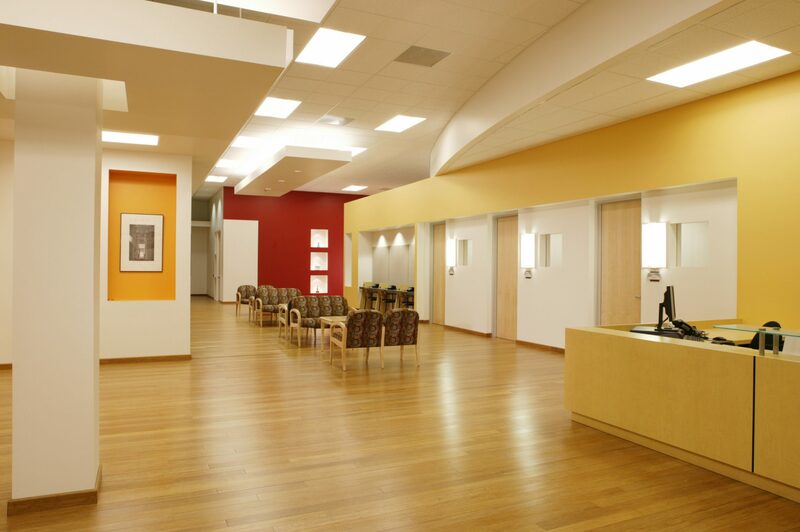 The Alameda County Adult & Aging Services adaptive reuse project was designed with an elderly clientele in mind. The entry lobby is subdued with a minimum of extraneous elements that could be disorienting. Interview rooms are located near the main entryway with conference rooms adjacent. The choice of environmentally-friendly bamboo as the flooring accommodates ease of movement for wheelchairs, contributes to a warm and inviting atmosphere, and helps with the health of indoor air quality. 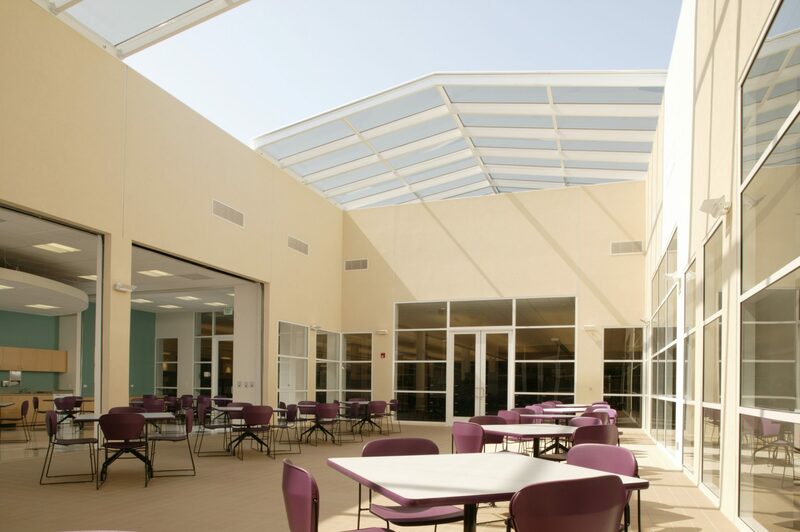 To bring natural light into this expansive space, an operable skylight creates an outdoor courtyard that is sheltered during inclement weather. 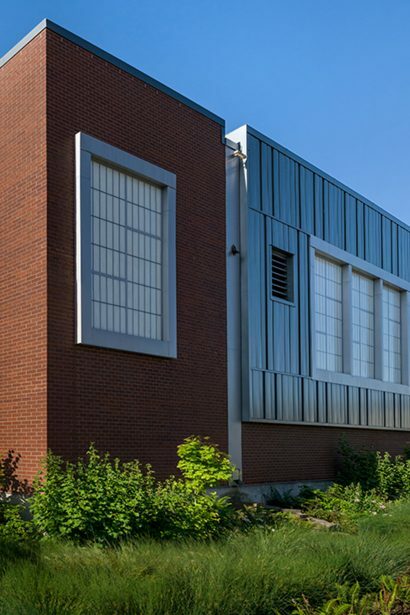 The new 65,000 sf Oakland Police Department Eastmont Substation was the result of the City of Oakland's desire to provide community policing, improve the visibility of the Police and offer greater accessibility to the residents of Oakland's neighborhoods. 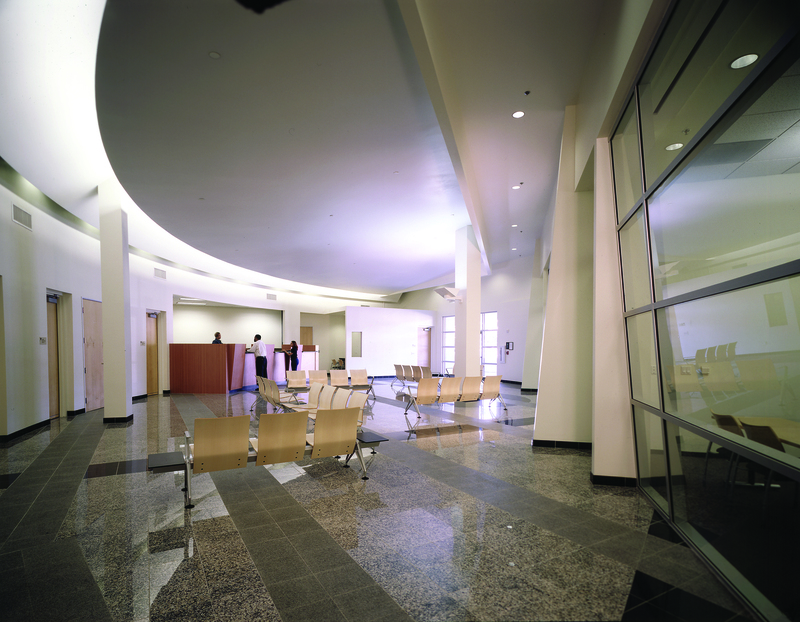 The lobby's curved design allows views from the reception area to all building entry points and community meeting rooms. 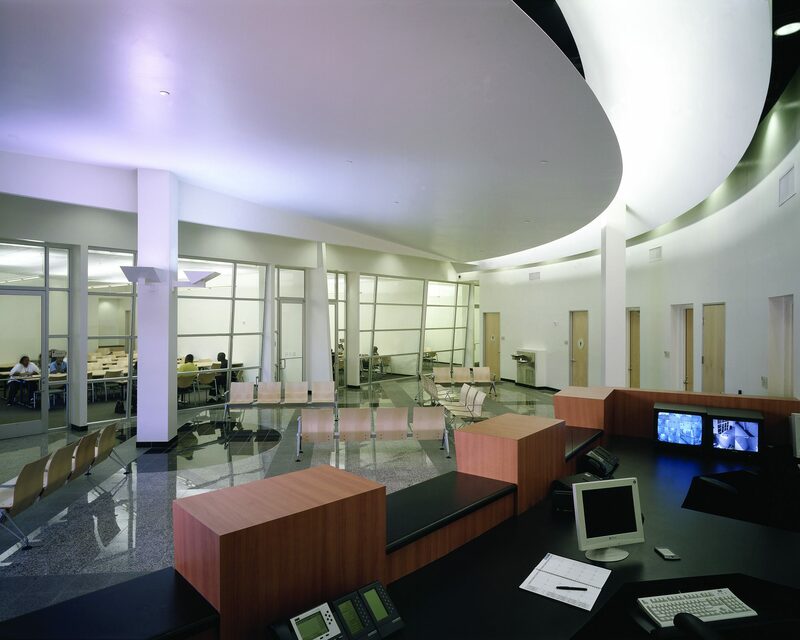 For the police substation, the design team maintained a careful balance of accessibility, visibility, and security. 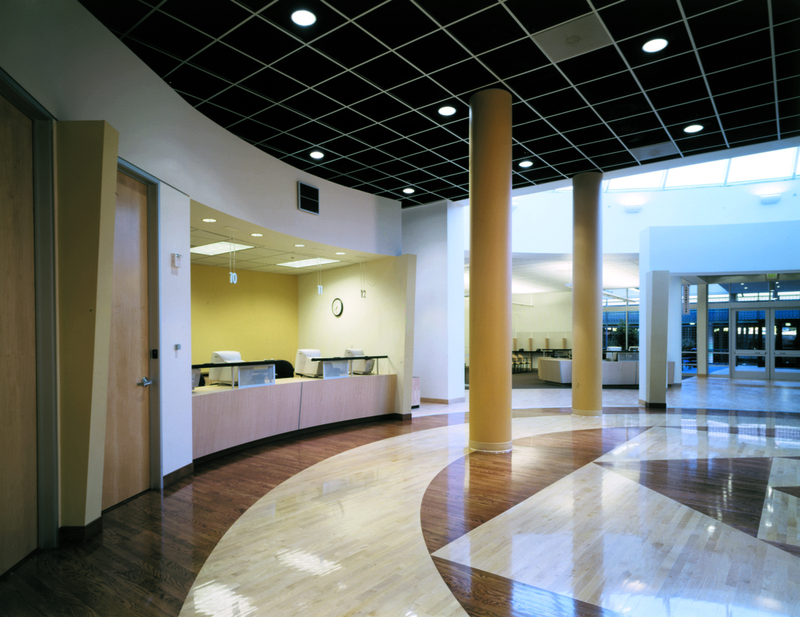 With Alameda County's new 65,000 sf Self Sufficiency Center, MWA helped the county set the design standard for future such centers. The design goal was to convey a sense of optimism to their clients and provide an environment that helps motivate them toward independence. Through a series of workshops with Social Services and General Services Agencies staff, MWA developed the space program for this first Center. 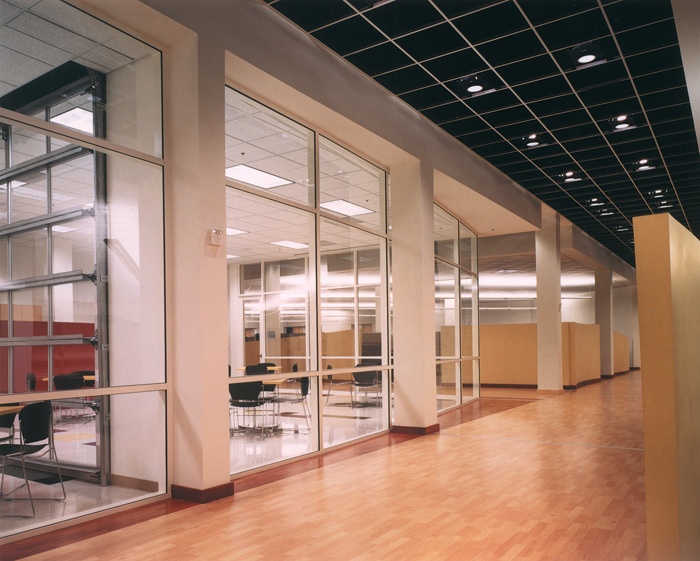 Use of curving walls and diagonal corridors gives the Center a dynamic and energetic atmosphere.